About Us :: Golden Bank, N.A. 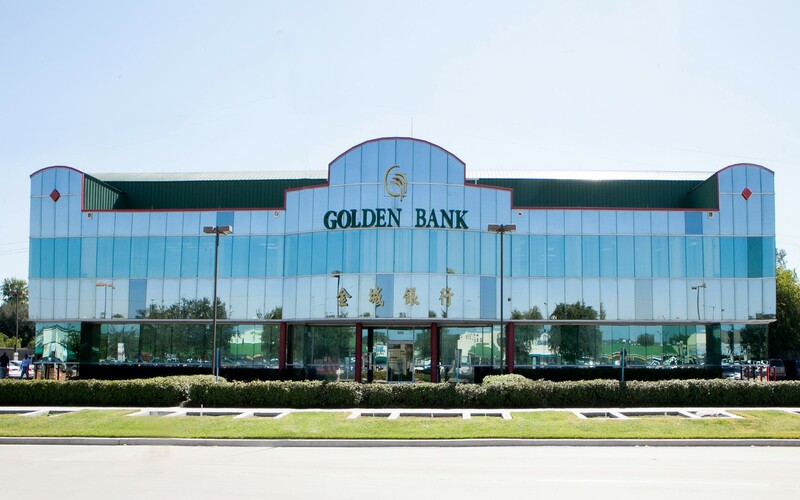 Golden Bank was established in response to demands for boutique banking services of Asian communities, businesses and new immigrants in Houston, Texas in 1985. As the first minority-owned bank in Greater Houston area, Golden Bank has provided a full scope of commercial banking services including taking deposits (DDA, NOW, Money Market, Savings, Time Deposits, Traditional and Roth IRAs), extending loans (Commercial, Construction, Real Estate, Consumer, Small Business, etc. ), providing trade finance, online banking, cash management and other banking services to businesses and residents within its service areas over the past 30+ years. Golden Bank provides effective services to its communities through its full-service branch network that contains four branch offices in Greater Houston area (Bellaire Blvd., Harwin Drive, FM 1960-Champions, and Sugar Land), two branch offices in Dallas-Fort Worth area (Richardson and Plano), and two branches office in Southern California (Tustin and Alhambra). It also operates two loan production offices in Southern California (Irvine and Rowland Heights).